University and college officials across the province are puzzled as to how they are going to set about revamping the post-secondary education system in Alberta after a five-page mandate letter was issued by the government over the weekend. In the letter late last week, Advanced Education Minister Thomas Lukaszuk included a laundry list of expectations each of Alberta's 26 schools must complete. The marching orders come after the Tories slashed $147 million in funding for universities in last month's budget. Doug Short, president of the Alberta Colleges and Institutes Faculties Association, told Metro Edmonton the letters are downright confusing. In the letters, Lukaszuk serves up ideas for streamlining the post-secondary sector. "You don't want to have five mediocre engineering schools," he told the Calgary Herald. "You're better off having two really good engineering schools. There's no doubt about it." He also told the Herald he doesn't see the point in, for example, having eight education facilities offering up eight individualized programs, administrations and content licences when the credits don't transfer seamlessly between institutions. “What we have right now is an orchestra of some virtuosos — they are fabulous at what they do,” Lukaszuk told Metro. Lukaszuk told CTV Edmonton that he wants the isolation between schools to be diminished and to begin working as part of "Campus Alberta." According to the Herald, Lukaszuk's letter also recommends that all schools use the Campus Alberta logo on letterhead, commit to shared online learning and find a way to put textbooks online to save money. “What we are looking at is looking at best practices,” Lukaszuk told CTV. In a blog post written over the weekend, University of Alberta president Indira Samarasekera wrote that there are "some aspects of the letter that concern us and warrant closer examination, clarification and discussion." According to CBC Edmonton, an open letter from U of A's board of governors said while some cuts could be made to reduce waste, they believe the school is operating efficiently and cuts could make it difficult to compete with other schools. "Being just another 'average' university is not something that is part of our vision, nor is it something that we can accept," their letter said. Mount Royal University president David Docherty told the Herald the mandate letter left "a number of unanswered questions," before declining to comment. The Alberta NDP equated the move to bullying. “The Premier has broken her promises to students and the Minister is trying to bully universities to adopt this PC government’s narrow agenda,” NDP Enterprise and Advanced Education critic Rachel Notley wrote in a press release. 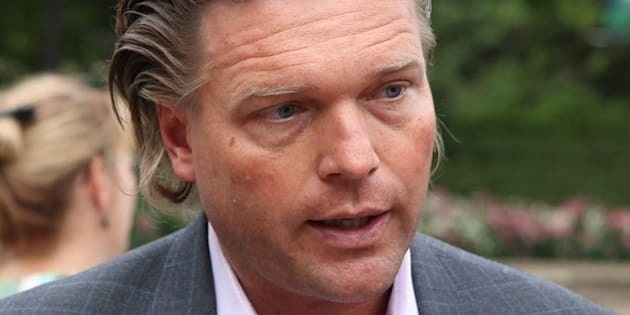 Lukaszuk told the Herald he doesn't have "a monopoly on knowledge" and he is open to revisions and suggestions. "The gist of the mandate letter is 'you figure it out,' " he said. "I'm not going to micromanage schools." The U of A has a meeting with Lukaszuk on the matter on April 11.